Chocolate Peanut Butter for tea. So generous portion I could only finish half! 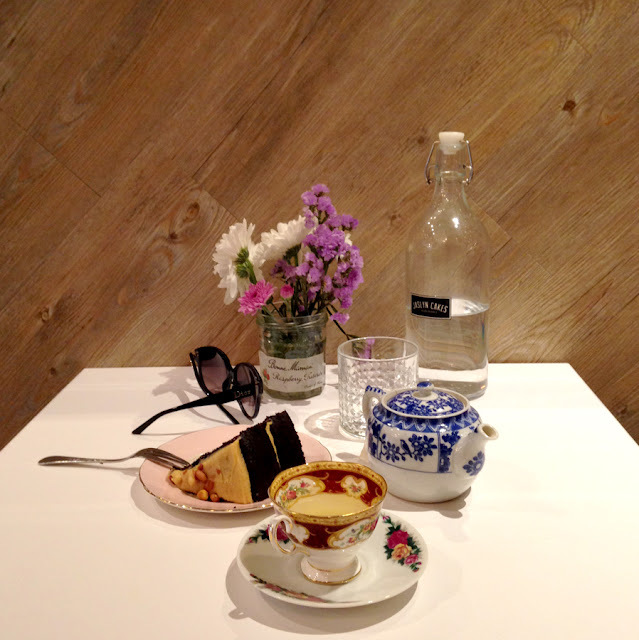 It's really a nice place for cakes and tea, except the girl behind the counter is quite unfriendly. I only asked what brand are they serving for those tea and her response was rather hostile. She paused for a moment, possibly wondering why that question and answered, "Oh we use organic tea". Well, point taken though that was not my question, I asked for the brand. Maybe she had a bad day. Oh well.